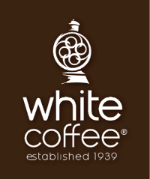 LONG ISLAND CITY, N.Y., March 4, 2013 /PRNewswire-USNewswire/ -- White Coffee Corporation, the venerable Long Island, NY importer and roaster, hits the national market this month with a line of truly innovative coffee products: Natural and Organic. These coffee varieties will be available in 12 oz. packages, and, for the first time, in a "single cup brew" packaged in a recyclable container compatible with the Keurig® system and similar coffeemakers.